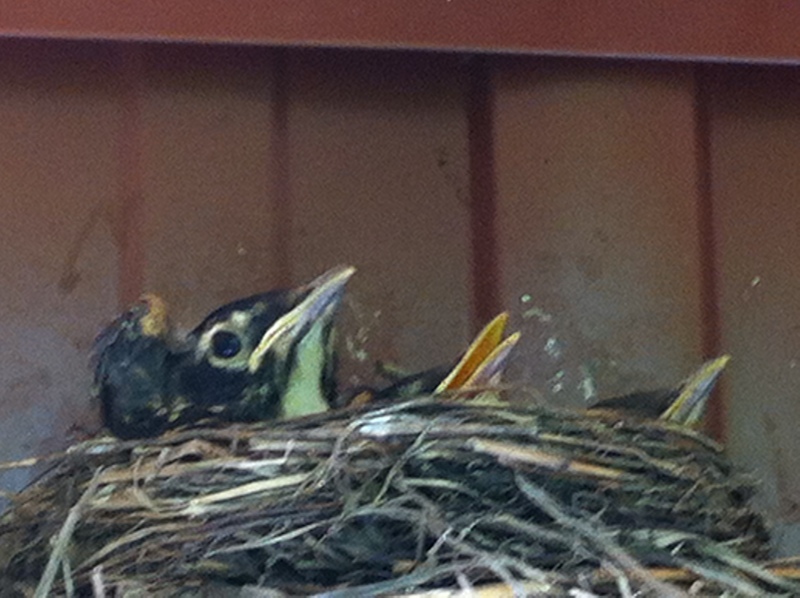 Birds built their nest on top of the solar heater. I was unable to get a good photo because I did not get close; too, they left the day I arrived. I never saw their parents so I am not sure what kind of babies they are. Anyone recognize them? On the topic of solar, you know, In 2012 I splurged for on the items that I wanted to have a working 12 volt solar system in Tiny House Ontario. It cost me roughly $1200 dollars (for the battery, inverter, wire, lights, switches, outlet, boxes, charge controller, panels and stand and any other little things that popped up). You can see more about that install here. I am very happy with the system even though it is not a 100% ideal match for my needs. The fact is, I can’t knock it! I am in the fourth calendar year of use and so far, every time I turn on the lights they work. I have never once lost electricity even when I accidentally left the lights on for a few days and left town. In these last years, I have had two troubles with the system. The first being my own error. I have zero skills and knowledge about electricity, and only after I had everything installed did I find out that that the inverter is no good for charging the batteries for my power tools. It is too small and because of this, when you try to make it work the fuse in the inverter blows. The second trouble I had was with a broken solar panel last winter. I still have NO idea how this happened, because I had many 20-30 pound rocks holding it to the ground and they simply vanished. Because of this, the system fell and one panel got cracked – but still, it seems to be working. Despite these troubles, I have never put any money into it. And the fact is that adding a new year to the mix means that the cost for electricity just dropped to $300 a year (That is $25 a month including power and fixtures). Though I can’t knock it, I have been considering a couple of small additions. I would like to add an additional light and outlet, so I will need to purchase the wire and the light to make this happen (I already have the second outlet that I just never got around to installing. The outlet would go in upstairs so that I can plug in my vacuum and cell phone there. The light, I would like to have at the bottom of the stairs and work from switches at the bottom and top of the stairs, so that I could turn it on to go up and down. I would also like to get something together so that I could charge my cordless tools – but I really can’t figure out how to do this with my current system. I wondered if this little set would work? Well the charger anyway. Most importantly, is it compatible with mine? I learned a while back that these sets are not all equal and they are not all compatible either. I wish I could find the card of the Makita rep for Ontario. I would call him and ask about it. Anyway, the light, switches and wire together will be less than $50, I am guessing. So if I decide to install this, it will bump up my overall electric costs, but I think it will make the house a tiny bit safer. Until then, The lights are still working! Not too much light pollution – until I turn on the yard light to bring the dogs out. I need this out there to keep them safe from wildlife. Don’t know if you’re still looking but Makita’s main manufacturing and head office is down the street from me (Whitby/Oshawa). I’d be happy to give you all their contact if you’re still in need? Thanks Tina. That is a very kind offer, but… you know, I actually figured out what to do! I simply need to purchase a larger inverter. Baby robins and they look fairly close to leaving the nest. I think you are right on both accounts. They left the very next day. Thanks for that! 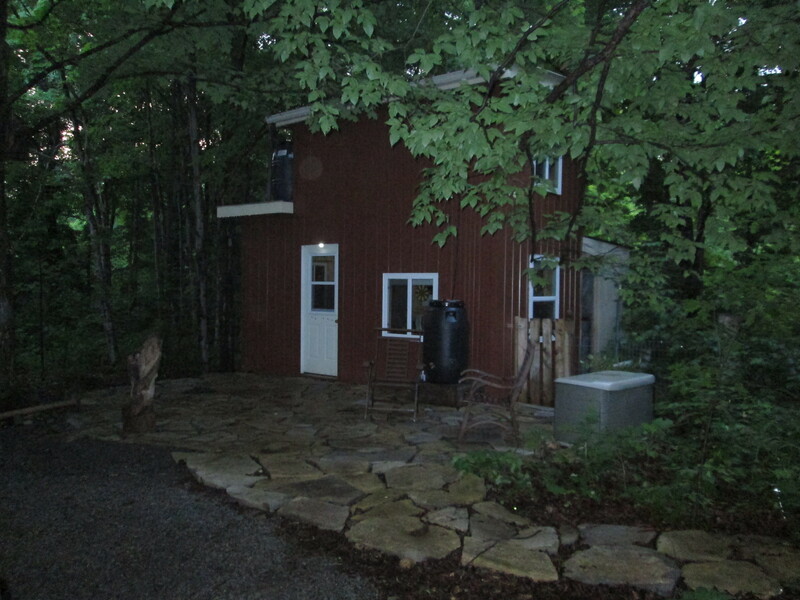 I wish you were closer to the tiny house because it sounds to me like you have some knowledge of these things. I have not installed the light on the stairs because I can’t figure out how to run a switch that works in two locations. As far as plugging in the drill, if I could figure it out I would simply plug it right in on the battery station outside because primarily this is where I work. I have one of those pigtails that connects directly to the battery so I would just use this. 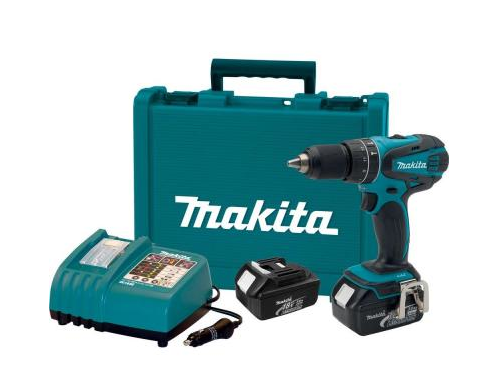 The problem is that I don’t know if the charger that is available through Makita, is compatible with the system that I already have. I hate to spend money on it, if it is a dud… too, it is only available on line so returns are a nuisance. Loved the recent photo you did of the doe with the ears of the fawn behind her! Hj was so disappointed to be in Kingston when you and the bee gang had your last meeting. He intends to join you – and always manages to be elsewhere.